Hello Bees! It’s Saturday and you have me, Matt, writing up the ‘Best Of The Web’ post this week. Andi is off on his holidays to somewhere nice and sunny for a couple of weeks so I will be taking the reins whilst he is away. Well I can’t quite believe that it is December already. The last few months seem to have flown by, though I’m really looking forward to putting my feet up with the family over Christmas. Thankfully I managed to get all my Xmas shopping done last month, leaving me free to carry on working on The Hive (and other stuff), which is due to launch on 6th January 2014. Anyway, here is this week’s pick of the bunch from around the web to take a look at. 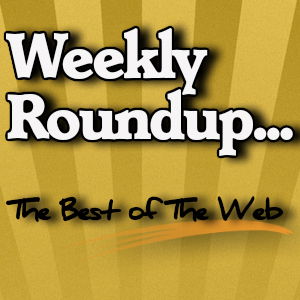 To kick off this week’s roundup we have a post suggested by Clair over at BusinessNetworking.com. Here Ivan Misner explains why it is important for you to try and do something differently when networking so that you can stand out from the crowd. Networking is SO important for bloggers and online businesses, so anyway to gain an advantage or make your efforts more effective is well worth learning about. John spotted this great post about Pinterest and how it can be used to help grow your blog. The great thing about this article is that Jenna (the writer) not only explains “why” you should be using it, but also “how” you can with some great tips about the types of images that get shared. There is even a mini tutorial explaining how you can create your own great looking images for your site that people will want to share on their own Pinterest boards. Steve Jobs has become an iconic figure to many people all around the world, not only because of his immense success with Apple, but also because he never gave in and overcame adversity in his life. You may think you know a lot about the man, but this post proves that there were a few things that you probably didn’t. Over to FreshRag.com now for a post about financial planning for your business. This was a post that John found via a connection on SlideShare. In order for your business to succeed you NEED to plan it out. Putting it off until next week or next month is just like sticking your head in the sand. Stop wasting time and make a start now. Set yourself goals and targets to reach for and work to meet them. This fantastic post was shared by Andi and if I’m totally honest, I was blown away by it! Social media is obviously a vital tool to help market your business, but how can you effectively measure it usefulness? Well this is what Russ (the writer) talks about in his article. In it, he goes on to explain why conventional methods of measuring engagement can be hard to understand and shows you a better method to use. It can be easy at times to look at successful people and think “I could never be like that.” It doesn’t have to be like that though. Most successful people are just better at managing their time that’s all. This post looks at some of the positive habits successful people get into and how you can do the same. Of course the hard bit is actually getting into those habits yourself though. SEO (Search Engine Optimization) is an extremely important part of getting your site seen online. That is why many companies turn to ‘SEO Agencies’ to help them. Whilst there are many legitimate SEO Agencies around, there are some equally bad ones that you should avoid. This post, suggested by Sam, talks about a scam that some of these bad agencies use to get your money. The problem is that many are falling for it simply because they don’t know any better. Well check out this post first. Your business website can have all the bells and whistles on it to make it look good, but if, at the end of the day, it isn’t converting visitors into customers then it’s a waste of time running it. This post highlights some simple tips that you can use to help convert traffic into sales. I thought these were great (especially the “Squint Test”) as they all follow the common sense principle. 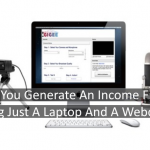 One way to make money online is to become a freelance writer and produce articles for websites. 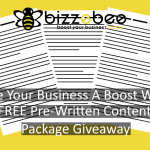 Businesses are always looking for content to help attract traffic and are willing to pay people to produce quality content. In this post Dan Stelter (the writer) talks about his experience of being a freelance writer and how he managed to go from charging $15 to $450 per article! This great post by Paul Boag over at SmashingMagazine.com asks you to look at your role online. We are only really just beginning the Digital Revolution, but that doesn’t mean that your online job will be around forever. This post gets you to question what exactly your role is. Know that and you will become better placed to see how long your online career will last (it makes sense after reading the post). Yes, it’s that time of year again that we dread. The same songs are on loop for the next few weeks, you have to put up with distant family members that you wish would remain distant and the streets are full of Zombies, aimlessly wandering from shop to shop in search of “gifts” that you wouldn’t ever think of buying for yourself. Hurray, it’s Christmas! Mmmmm Mmmmm. Yes, that’s right! All the best bits of Christmas dinner condensed into one, easy to open, tin (gag). 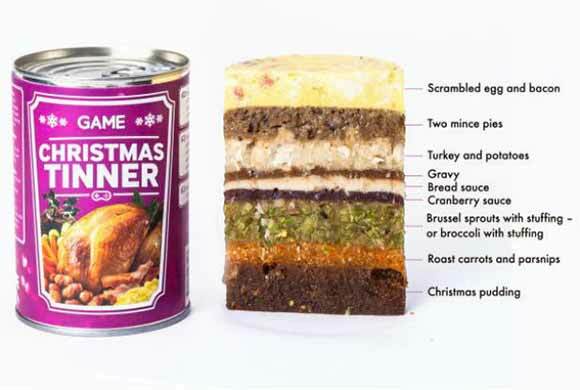 A gaming retailer has launched the ‘Christmas Tinner’ for gamers who are too busy playing on their new PS4 or Xbox One to cook on Christmas day. Everything is included in delicious layers to enjoy (wretch)…. Yummy! NextBlog Post Length – How Long Should I Make My Blog Post? Thanks for the shout out. I’m glad you enjoyed the article. I’ll be checking out quite a few of these others as well… except maybe the Christmas Tinner. I’ll leave that one be. No problem on the mention, fully deserved it. Really enjoyed reading your post.